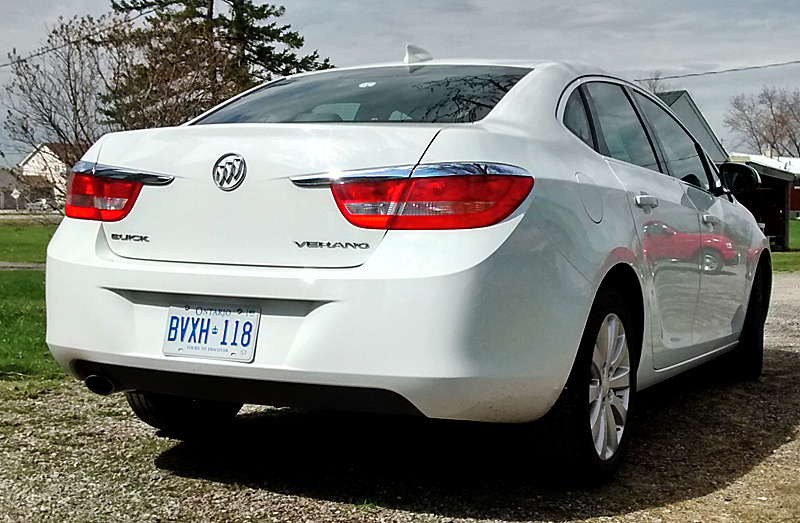 I’ve never been a big fan of Buick cars – or GM in general, even though I’ve owned a couple of Chevy’s (Camaro & Malibu) and a Saturn. My experience with the Chevrolet brand has been terrible, but I must admit I really liked our Saturn Vue. 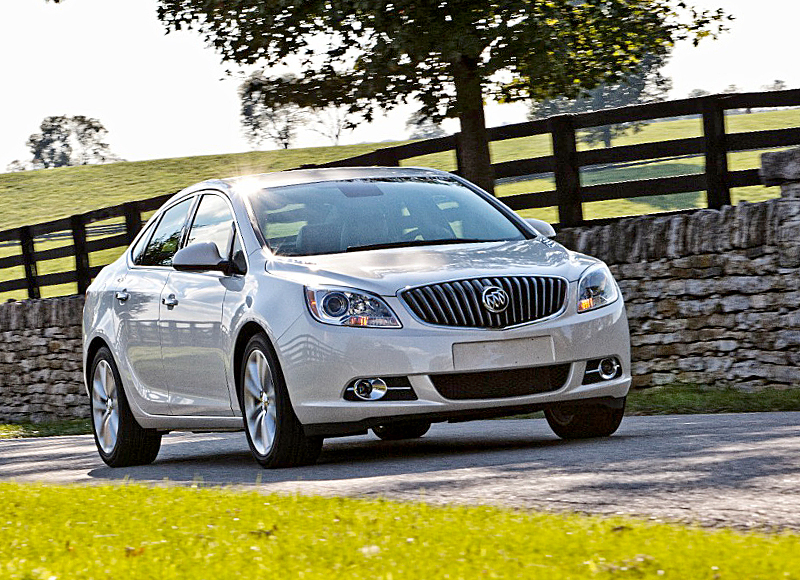 So why am I driving a Buick Verano? Quite by accident really – my wife’s car was in the shop for repairs and the dealership gave us a rental. Being a car guy – it’s never just a drive – everything is a test drive for me and so why not? Let’s give this car the full test treatment…. From the outside the trunk looks small, open the lid and it’s huge! 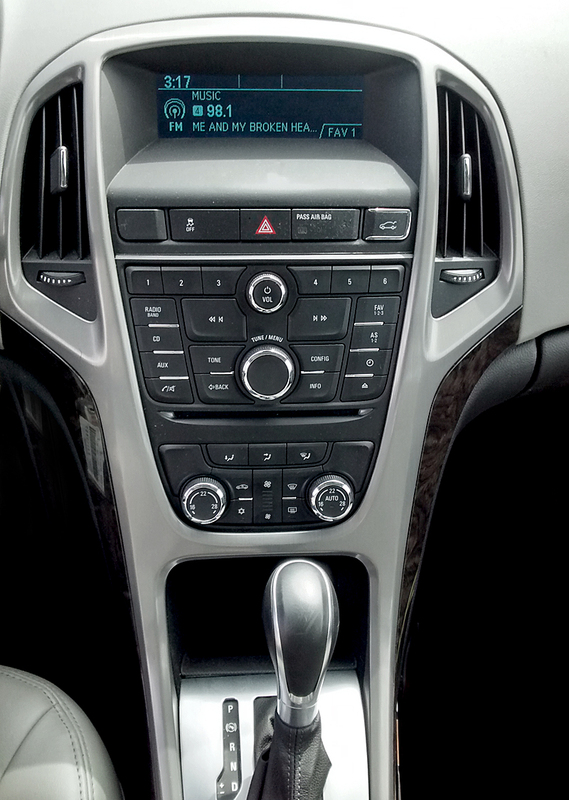 His ‘n’ her climate controls was a surprise – as were the missing heated seats. In Canada all cars should have heated seats as standard. The ‘Fuel Remaining Until Empty” gauge was all over the map. At one point it said I had 207.5 miles before empty, but just 5.6 miles later I had 286 miles left before empty and after travelling another 15 miles it registered I had 280 miles before I had to refuel! On another occasion I travelled 63 miles, but the car said I’d only used 46 miles worth of fuel. So if you see a Verano at the side of the road, you’ll know that the driver was trusting the gauge and not the fuel needle. So How Quick Is It & How Does It Handle? The base Verano comes with a 2.4L 4-cylinder engine and a 6-speed automatic transmission putting out 180 h.p. @ 6,700 rpm and 171 lb-ft. torque @ 4,900 rpm. There is an optional turbo model (250 h.p.) that would certainly make this an interesting little car. Fuel economy is rated at City: 32mpg and Highway: 21 mpg (city seems quite thirsty). Even with the dodgy on-board Fuel estimator, I got around 24 mpg of mixed driving – quite poor because it should have been much closer to 35 mpg as is the norm for this size of car. Not much rear leg room with a short front passenger..
Based on my short time with the Verano, I’m pleasantly surprised to have liked it – I didn’t want to, to be honest. My wife really liked it and wouldn’t rule it out to replace her present car – but wait there’s more (below). Would I buy it? 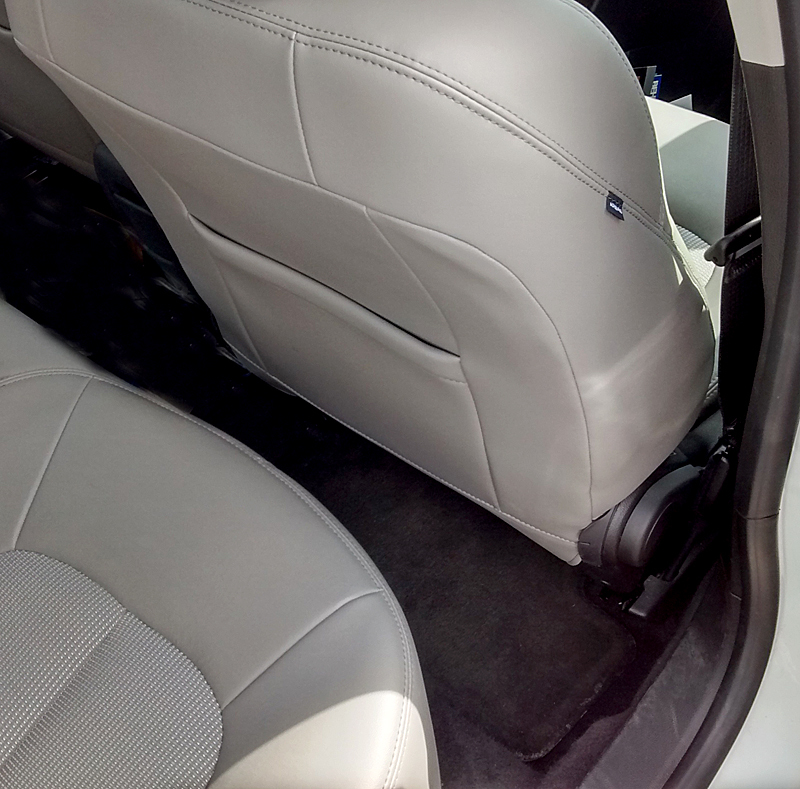 Nope, the rear seat exit would be a deal-breaker because anyone you transport back there would have the same or a worse experience than I did – you might as well have a coupe. The Verano is touted as a small “Luxury” sedan which would put it in the Volvo, BMW, Mercedes and Lincoln arena, but this car is nowhere near that category. It’s more likely to compete in the above “Reality” list. Size and price-wise its closest competitor in the luxury segment would be the Mercedes Benz CLA and that would be really pushing it. Based on price – it’s firmly in the Ford Fusion, Chrysler 200, Kia Forte, Hyundai Sonata area and that is a tough market for any vehicle to compete in. I originally thought its main competition would be the Honda Civic, Ford Focus, Hyundai Elantra etc., and I firmly believe that is the market this car is really in – not the luxury crowd, and definitely not the mid-sized either – if luxury is its true competition – not a chance. I told my wife this was a luxury car and she burst out laughing – “It’s a decent attempt at a regular car – that’s all I’ll give them.” She compared it to a Civic or an Elantra, and I must admit she’s usually spot on when it comes to guess the value of a vehicle.